I think it’s time to check out Newsletter design print templates. Newsletters are one of the best platforms in today’s global market to stay in touch with your clients, customers and audience. We all know that email marketing still have big impact in communication with consumers and email newsletters are sent every day to million addresses. But, what with good old print newsletter? Well, they are back and becoming more important as weekly or monthly periodic news & updates medium. Yes, you can all that info send to your audience as email, but electronic newsletter doesn’t have that unique feel of product texture, touch of paper and smell of fresh paint. Great thing about paper newsletters is that they can be used as promotional material. For that purpose, those newsletters need to have some uniqueness and aesthetics to display. And that’s the point where we suggesting six newsletter templates. First, why are we reviewing OUR templates? Well, we KNOW them and we used them. 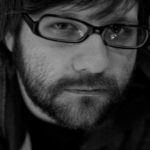 Why InDesign templates? Because, InDesign is industry standard and no matter how some MS Word or Photoshop can look gorgeous, they are not for full professional use. So, let’s start with list! 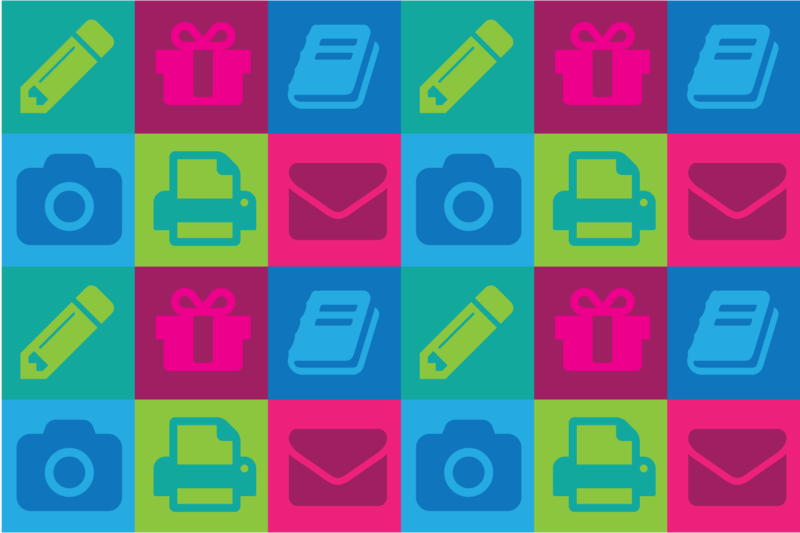 Multi-format Newsletter is available in two sizes – A3 and A4. Both formats share similar design, layout and styles. A3 format is based on 4 column layout and A4 on 3 columns layout. Files are full color and ready for print. There is one Main color, which can be easily changed for getting completely new look, more suitable for your needs. All text and colors are editable. Paragraph styles are all named and easy to identify. 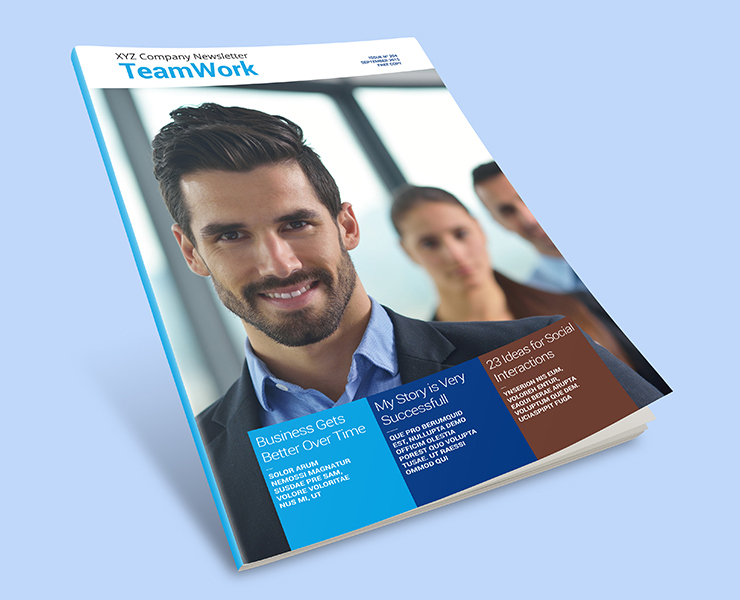 This Modern Newsletter is in A4 format, available in 4 colors (orange, blue, green and purple). Each main color have Second color. You can use any of this for your publication and you can easily change Main and Second color and get completely new look, more suitable for your brand or company. All text and colors are editable and includes paragraph styles all named and easy to identify. This template is great because you have almost magazine look and reach of styles. Amazing template for all interested to step up game with their newsletteres. 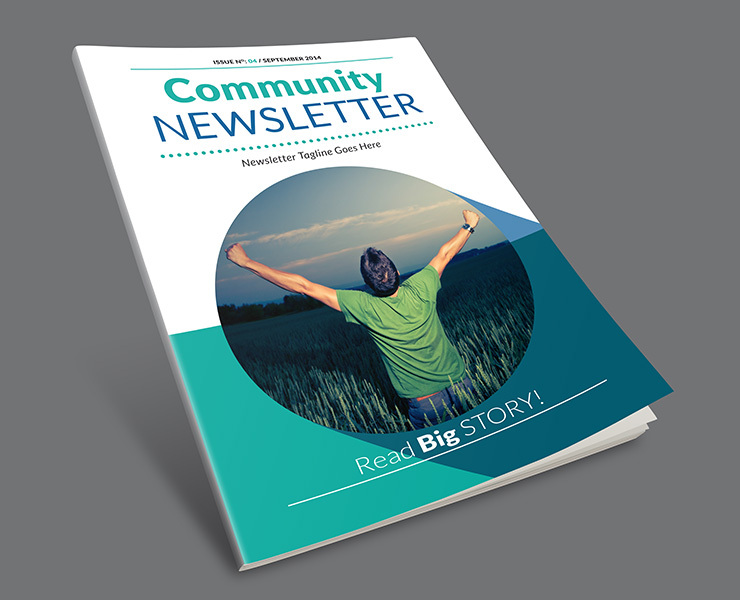 Community Newsletter is available in full color and ready for print. Two colors are used and you can easily change Main and Secondary color and get completely new look, more suitable for your needs. All text and colors are editable. Paragraph styles are all named and easy to identify. This newsletter InDesign template have two and three column layout ready for edit. Lot of layout combinations are available out of the box and you can create easily your own style. Oh, great one if you have new startup or service company. 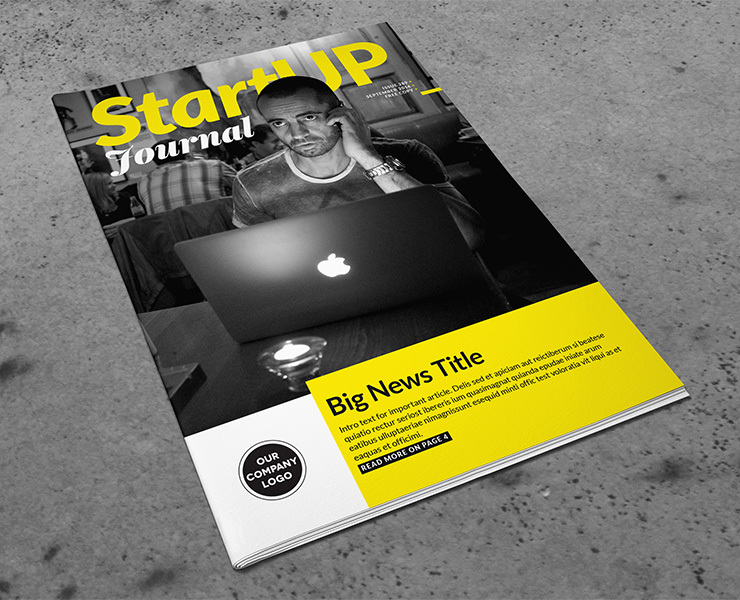 Hip approach and bold design is what will make your newsletter to stand out in the crowd, even take primary spot on some coffee tables. 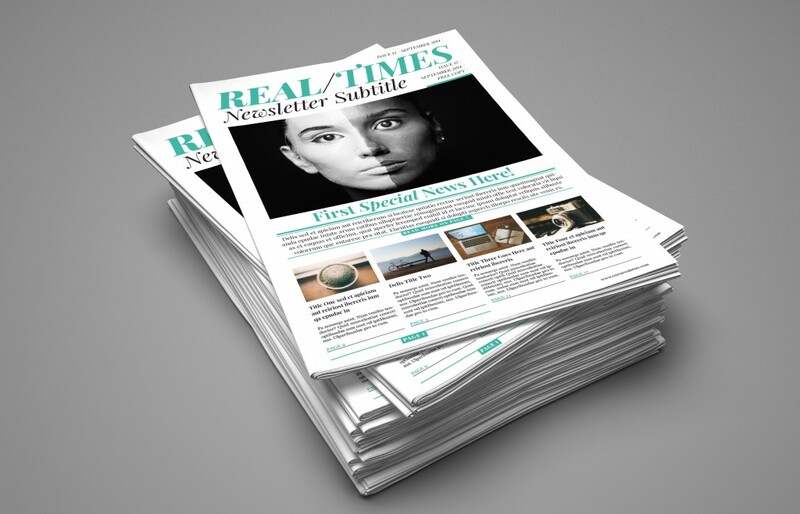 Business Newsletter is available A3 format and it is based on 4 column layout. Newsletter is in full color and ready for print. There is one Main color, which can be easily changed for getting completely new look, more suitable for your needs. All text and colors are editable. Paragraph styles are all named and easy to identify. 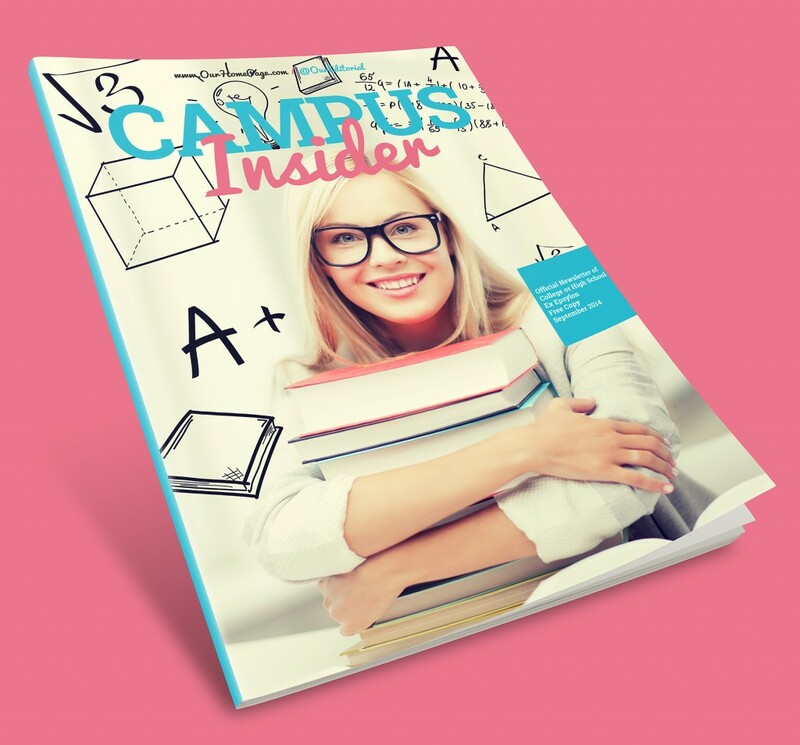 Do you need modern newsletter for your school, college or university? Look no further! This item will help you to better connect with your students and create community. You need it for something else? No worries, with few changes it can become something else, to more suit your brand and identity. Newsletter comes in two formats: A4 and US Letter. 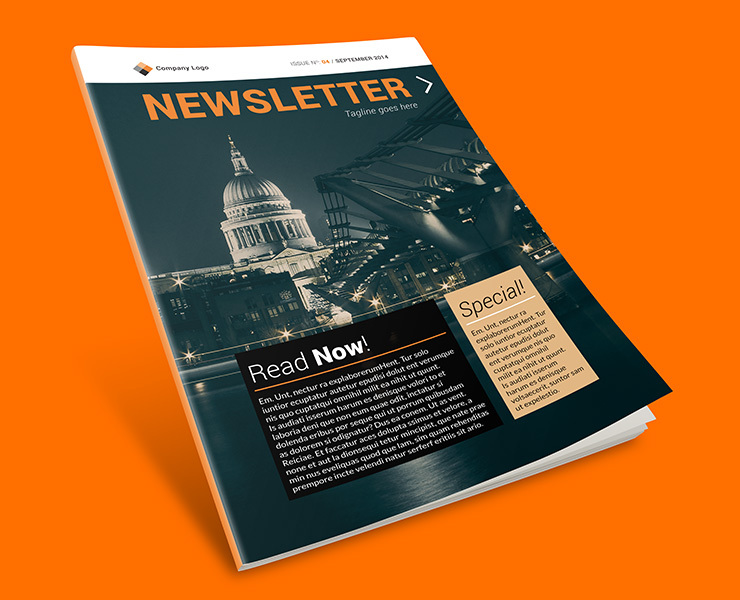 This Light Business Newsletter template is suitable for companies, startups, developers and agencies, and it’s available in two formats – US Letter and A4. With few changes it can become newsletter for other purposes. Both formats are super easy to customize, to better fit your brand / identity. Used fonts are free and Help.html file is included with download links in folder Document Fonts. Newsletter is made for quick changes and fast design. Even if you are not that good with InDesign, this template is super simple for fast and good looking design. There is 8 pages, including cover and back cover pages. Paragraph and Character styles are organized and named for quick and easy changes. I hope that you found useful info in this article. Just to notice, all templates use free fonts and all of them have file inside their packages with download links.